Good mid-range phones are all the rage these days. As is the case with any trend, some people are better at it while others agonize over how to blend in with it. Same is the case with mid-range phones. On one hand, there are companies who have figured out quite a good balance of price and features, while on the other hand, some are still struggling with the concept of a mid-ranger. Huawei is generally considered as one of the former companies and is widely regarded as the third biggest smartphone manufacturer in the world (based on smartphone sales). Honor 6X is its latest attempt to further shorten the gap between it and the top two positions. Let’s take a look at how it fares when it comes to offering a good balance of features and price. Huawei and some other Chinese manufacturers are usually very generous when it comes to offering accessories and additional goodies with the actual device. Huawei doesn’t break the tradition and provides a lot of stuff to appease its customers. The design has always been a strong suite of Huawei products. Although there have been complaints in the past from many over design similarities between Huawei and other manufacturers like Apple, it would be wrong to take credit away from Huawei for the design of this device. The look and feel of the device do not give too much away about its price and designation as a mid-ranger. The device has a nearly metallic body with some plastic around the edges to facilitate cell phone reception and minimize damage caused due to scuffs and minor drops. There are usual buttons around the sides of the device, with right side housing the volume rocker and power button while the left side has the slot for SIM card and microSD card. The card slot that Honor 6X uses is hybrid, meaning that you can either use two SIM cards or you can replace a SIM card with a microSD card. There is no way to use both an SD card and two SIMs in this phone at the same time. It would have been better if Huawei had gone for a true dual SIM approach rather than this middle ground one. Honor 6X’s back is thankfully free of excessive branding and gives off a clean look with the dual lens setup sitting in the center and a lone honor logo at the bottom of the device. 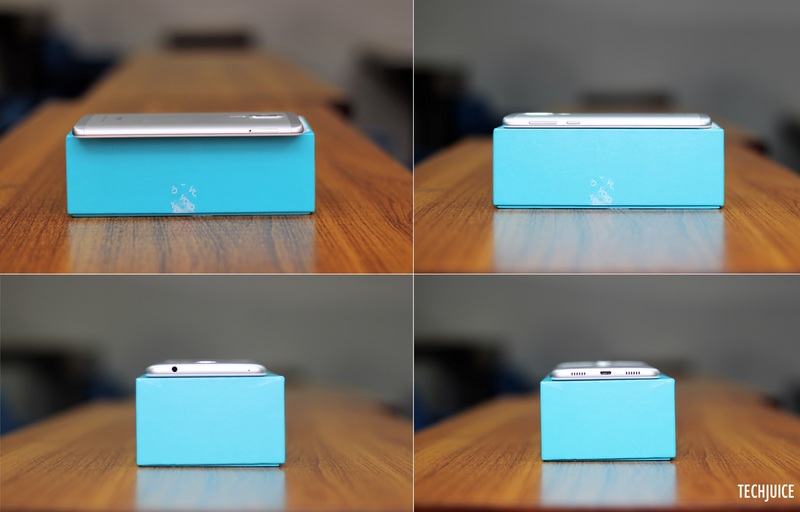 The front side of the device also furthers the clean look by a buttonless 5.5 in display surrounded by camera and ambient sensors on the top and honor branding on the bottom. On one side it would appease people who like their devices sleek and clean, while some might find this design to be rather bland and uninspiring. 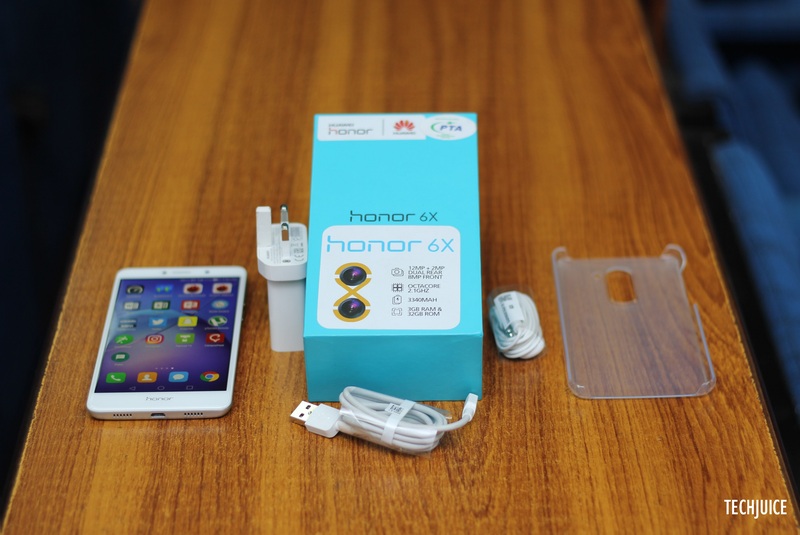 Honor 6X has a 5.5-inch IPS-LCD display with 1080p resolution. Considering the price of the device and the fact that 1080p is perfectly fine for a screen that size, there is nothing bad which can be said about the display. It offers good color reproduction and viewing angles also fall withing the range of other LCD and LED displays. 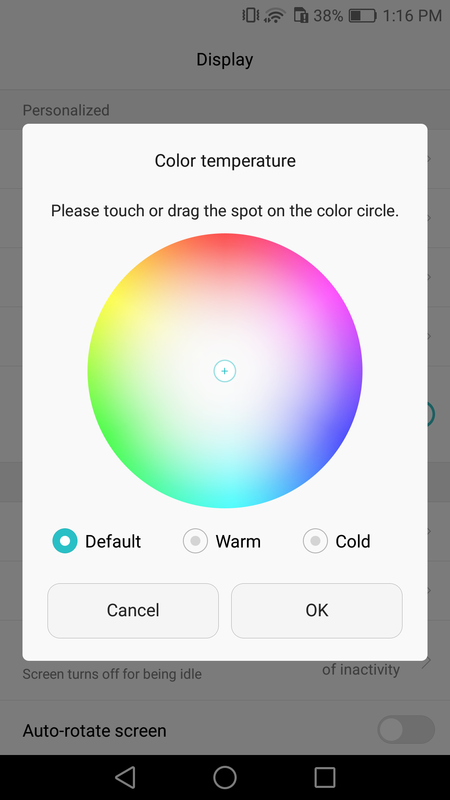 The display might feel a little warmer to some but thankfully Huawei has included a color tuner to adjust it to your liking. The display is covered by a 2.5D curved glass which is unfortunately not Gorilla Glass, but it uses a strengthened glass by Huawei which is supposedly less prone to scratches. I used this device for nearly three weeks without any screen protector and while there aren’t any significant scratches to lay waste to Huawei’s claim, a quick flash of light did reveal some scuffs and bruises on the screen. If you intend to buy this phone, invest in a good screen protector too to remain on the safe side. Honor 6X runs Android 6.0 Marshmallow out of the box but it will soon be upgraded to Android Nougat via an OTA update. Huawei’s EMUI is a heavily customized version of Android which many users will have a love and hate relationship with. Me? I enjoy my Android Stock and EMUI was a big step away from it. It took some time to adjust and frankly I still prefer the cleaner look of stock Android. My biggest complaint from it is probably the lack of an app drawer but that is being remedied by upcoming EMUI 5.0 update. Huawei has packed some interesting and useful features in Honor 6X which keep the device up and running in an effective manner. 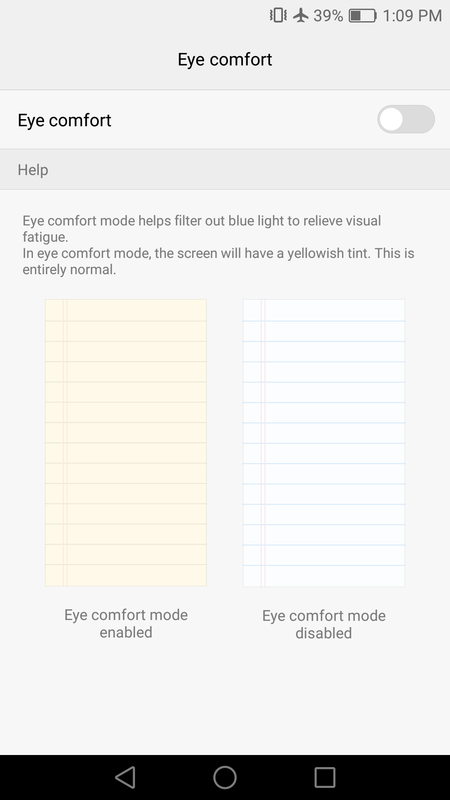 One notable inclusion is a blue light filter (which Huawei dubs as eye comfort), it helps reduce effects of excessive blue light on the sleeping pattern of users. Other significant features include a device manager which monitors applications using most resources in the background and then prompts the users to close those rogue applications. 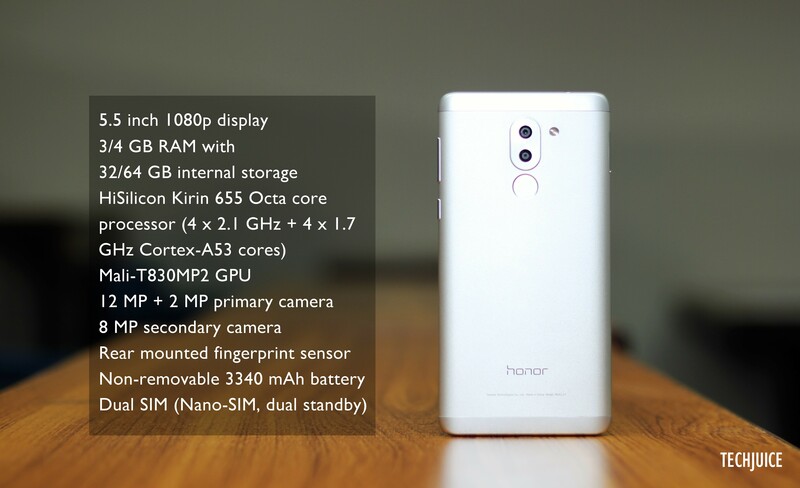 Honor 6X comes with an octa-core HiSilicon Kirin 655 processor (4 x 2.1 GHz and 4 x 1.7 GHz Cortex A-53 cores). This translates into is a pretty smooth experience overall. There is no slowdown or stutter when opening or closing applications or doing multiple operations at the same time. The thing to note here is that it is a mid-ranger and specifications offered should and do reflect that. 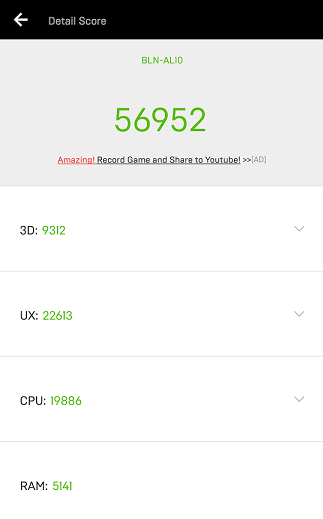 On the Antutu benchmark, the device managed a score of about 56,000. 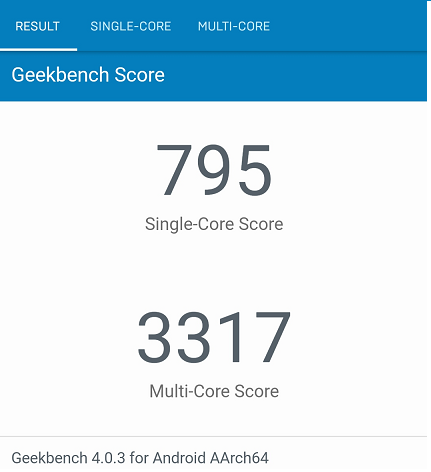 Honor 6X scored around 800 for a single core on the Geekbench. The phone scored a little on the downside when it comes to 3D scores. This was reflected in some high-end games which I tried to play. Asphalt 8 worked fine with a couple of frames dropped here and there. Other popular games like Subway Surfer and Temple Run work without any issues. 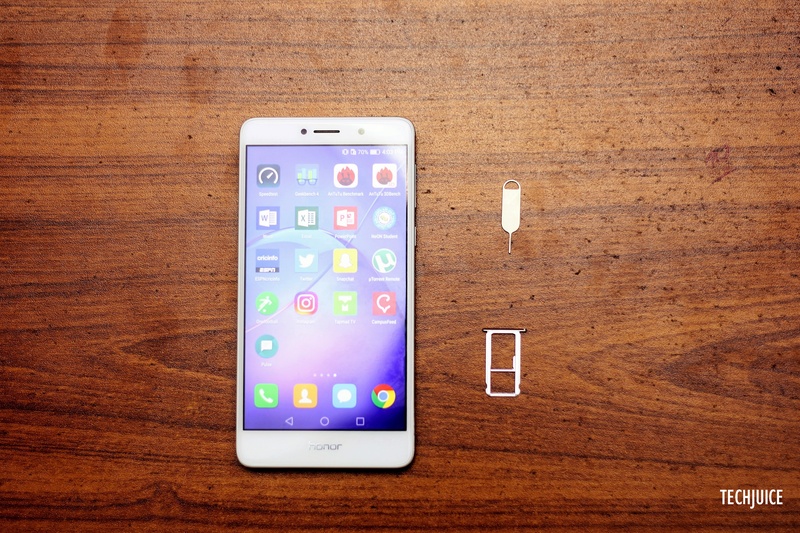 Honor 6X packs a 3340 mAh battery to power up the octa-core Kirin 655 processor. With 1080p screen and a power efficient processor, the device lasts almost a complete 2 days with normal usage. 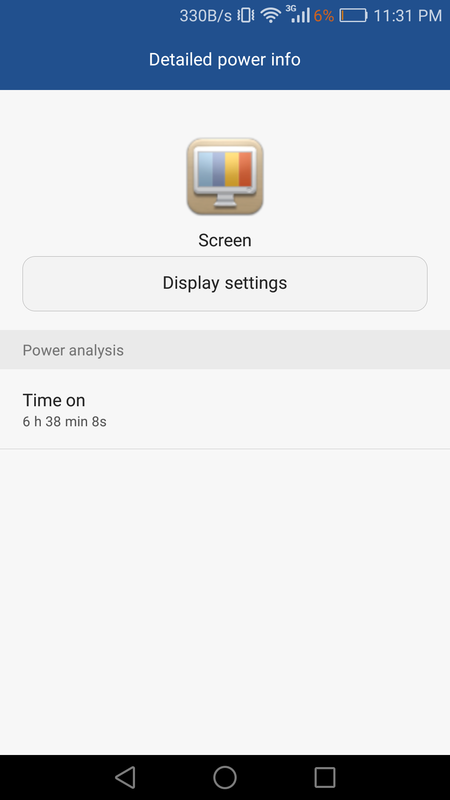 With heavy usage, the battery lasted a whole day from 7 AM to 11 PM with nearly 7 hours of screen on time. Overall this device should provide good battery life, irrespective of how it is used. Another thing to note here is that although 6X has impressive battery life, it does not support any quick charging standard. While a 3350 mAh battery won’t take ages to charge (about 2 to 2.25 hours), the luxury of plugging in the device for half an hour to get 40-50 percent battery is non-existent here. The camera is one of the main attractions of Honor 6X. With a dual lens setup at the back of the device, the attention immediately goes to the camera when seeing the device for the first time. The camera setup consists of two sensors; a 12 MP RGB sensor and a 2 MP monochromatic sensor. The 12 MP lens captures the actual shot while the 2 MP lens is used to determine the depth and distance information about the object in focus. Both cameras combine to provide a nice depth of field or bokeh effect which is usually found in wide lens DSLR cameras. Although you cannot expect to take shots equivalent to a 70 or 80K camera, it does produce some good looking shots which are perfectly adequate for sharing on social media. 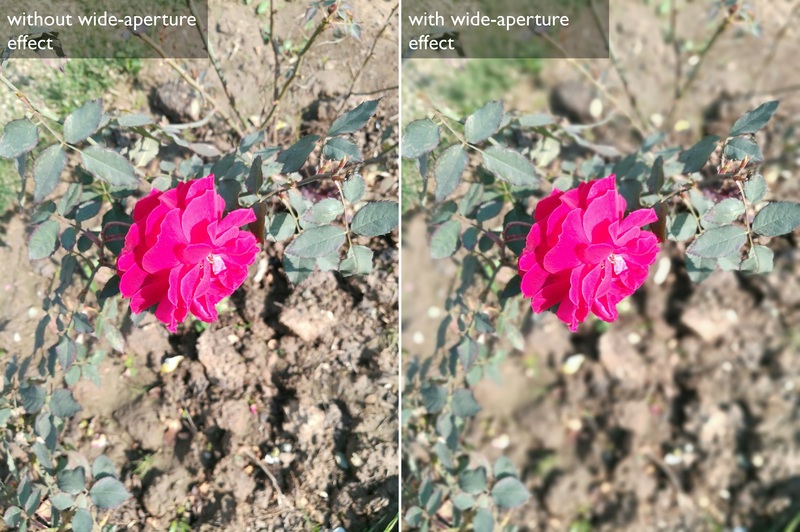 An another interesting feature is that in wide-aperture mode, the camera takes multiple shots and then allows you to change the focus later on. So if you don’t want to focus on a particular object, you can easily change the focus to something else. One thing to note is that this wide-aperture mode does not work with flash, so you will have to resort to taking shots the normal way in night time photos. Night time photos also exhibit the same sort of issues we have come to expect with other phones. These include grainy pictures and lacking details when you rely solely on ambient light instead of artificial lighting. You can look at some sample shots of Honor 6X here. It is a tough smartphone market out there, especially for companies who have yet to build their reputation as an established brand. It is pivotal for companies like Huawei to cater to the budget and mid-rang market, which is probably one the most volatile segment and changes allegiance swiftly and continuously. Honor 6X perfectly fits the description of a mid-ranger with a great display, smooth performance, sleek design and a good camera. Going for a price of PKR 28,499 at the moment, there are few chances that you will regret buying it for that much money. 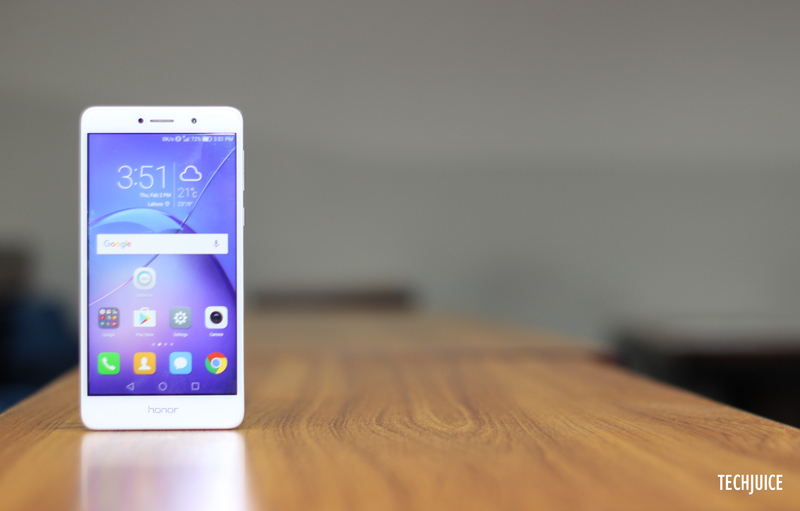 The post Huawei Honor 6X Review appeared first on TechJuice.